In their own way, hobbies are pretty magical. For many people, they are a key way of explaining their personality, preferences, and tastes. For others, they can be a useful way to get together regularly with friends, indulging in a mutually-loved pastime. However, one thing is true for all – hobbies are an excellent way to help improve mental health. Here are some fun hobbies you can learn online or in a group that have the delightful side effect of helping out your health. While many hobbies can be turned into an extra source of income, most people find that their hobbies are worth pursuing purely for the sake of the art. 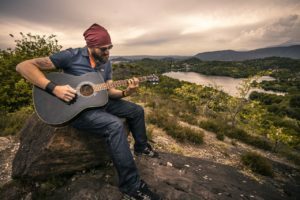 This is actually a healthy mindset – in a world where many actions and decisions seem deterministic or out of our control entirely, creative hobbies are a place where we can be in control. It’s your choice what to work on, how to work on it, and how long you’d like to spend doing it each week. You can pursue your hobby by yourself or with others – the choice is entirely yours. And, similarly to how getting a par on a particularly difficult hole on the golf course can cause your body to release endorphins (the chemicals in your body linked to positive feelings and reduced stress), completing a hobby-related task simply feels good. It’s a brief win to boost your spirits, or keep them raised. Hobbies also help provide a reason to get out of bed in the morning – if you know you’re going to finish up your self-portrait or perform a new song this evening, you’re more likely to wake up feeling excited and refreshed. This is why hobbies are extremely useful in the therapeutic sense for issues like major depression or substance abuse. Hobbies can provide an outlet for the kinds of emotions that are most difficult to express. The best thing about many kinds of hobbies is that you can develop the skills required for your new passion online! Painting and drawing, for example, are extremely cathartic. They engage your creative side and give you something tangible to look at once the task is completed. Visual art can also be a way for you to express yourself through a medium that is more open to interpretation. If you experience anxiety at the thought of strangers knowing your deepest feelings, art might be the perfect hobby for you, since two people viewing the same piece of art will often interpret it in two different ways. Painting doesn’t have to be on canvas, either – adding a splash of color to your bedroom or den can be an enjoyable way to liven up your space. You can find plenty of art tutorials online, and myriads of paintings from across the centuries are available to view with just a couple mouse clicks. Musical instruments also are good for your health. In addition to the creative and emotional benefits offered by painting, playing an instrument helps keep your mind and muscles sharp as you age. Research shows that playing music helps lower blood pressure, decrease heart rate, and even might increase the response rate of the immune system. Even better than all that: playing music is fun. Certain instruments, like the violin, may be challenging at first, but the self-esteem boost from playing your first piece is well worth the effort. If you need more of a social component, cooking is a perfect way to develop a new skill, spend time bonding with friends, and relax. While cooking may be time-dependent, the process of creating a meal is a creative process that provides the associated mental health boosts. The positive effects are even stronger when you cook for friends in an expression of bonding and community. Don’t feel like you have to pick just one hobby, either – there’s plenty of time in the year to try more than one! Try having a night where you cook with friends, followed by a painting exercise. Mix them up to your heart’s content.